Become the athlete you want to be in 2019 by training in the pool this winter. The question isn’t overly surprising; most people feel intimidated when they first consider joining a Masters swimming program, but there are options to help ease this anxiety. Not only can participants receive individual swim instruction before continuing the program (especially if they believe they’re not quite ready for its requirements), but they can also partake in free trials at most Masters swimming facilities across Chicagoland. 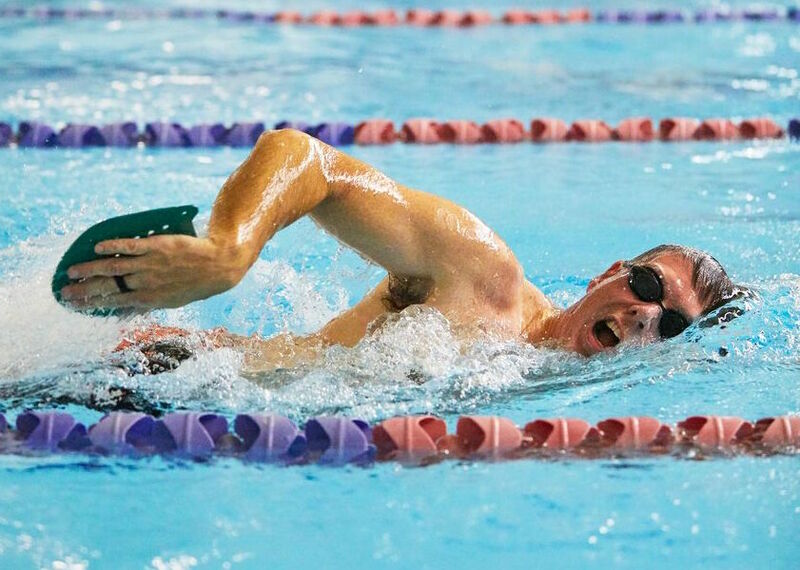 Once you participate in some free trials and find the program that’s the most ideal for you, it’s important to then focus on increasing your endurance and fitness, which will ultimately improve your confidence and overall experiences in Masters swimming, leading to a potentially long association with your chosen program. Ask yourself why you’re getting in the pool in the first place, and determine how you hope to achieve your short- and long-term goals. These goals should also be revised frequently, which is not always easy, considering your many daily responsibilities. But if you don’t stick to a plan, you won’t succeed in a Masters Swimming program. Not to mention, you should not focus on your times or speed until you’ve consistently practiced in the pool for two to three weeks, regardless of how fit you may be. Once you’ve practiced regularly and are determined to improve your speed and efficiency, you must focus on your technique, receive feedback from a coach, use your whole body to swim and learn how to swim all four strokes. Although Masters swimming programs are especially ideal during the wintertime, when many triathletes prefer to only train inside, you should consider participating in a program year-round, according to Liberty. 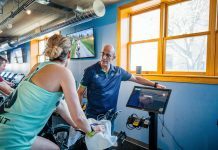 After all, the fall and winter is the best time for endurance athletes to build an aerobic base, work on their stroke mechanics and make any technical changes they’d like to implement before the spring and summer. On the other hand, spring is the most ideal season to focus on sprinting, as the USMS Spring Nationals typically occurs in late April or early May. Once athletes build their speed during the spring, they will then train for open water swimming in the summertime, from lake swims to simulated open water swims in pools. With regards to this variation, all Masters swimming workouts are provided in a structured environment, one that primarily involves interval training—with intervals ranging from 25 to 500 yards—according to David Polkow, head coach of the West Suburban Multi Sport Masters Team and president of West Suburban Multi Sport Club. In addition, endurance athletes must be prepared to complete quite a few sets off the pace clock. Fixed intervals are expected, and athletes must also learn how to circle swim, pace themselves and have an appropriate amount of space between themselves and whoever is swimming in front of them. The sets are also likely to have a higher intensity than what many swimmers are used to, according to Fitzpatrick. Welker recommends endurance athletes to swim two to three times a week to improve their endurance and fitness. Each workout should include a proper balance between a warm up and a main set, while also spending five to ten minutes to “cool down” a bit after the main set. Corinne Grotenhuis, owner and coach of the Elgin Blue Wave Masters Swim Team, slowly adds yardage to her practices every week. Athletes are provided plenty of rest after each set, and all four strokes are used during each workout. As most endurance sporting events are pretty taxing on the athlete’s body, swimming is the one discipline that protects muscles and joints from frequent pounding and other repetitive motions. In addition to conditioning different muscle groups and injury prevention, doing some off-season swimming can help improve form and technique. “By fixing all aspects of athletes’ strokes, they will be more efficient, relaxed and comfortable in the water, which helps when race day nerves come into play,” explains Jayne Artwick, Masters coach at Swift Aquatics. Triathletes’ improvement in pacing must not be overlooked either, as Masters Swimming workouts incorporate interval training so that triathletes don’t just swim whichever distances they believe they can finish during a given time period. “For example, by keeping track of one’s time on a pace clock during a set of four 50-yard swims, with each 50 being swum faster than the previous 50, an athlete can develop knowledge of the muscle exertion needed to achieve a slow, medium and fast pace,” adds Pohlmann. With regards to pacing, Fitzpatrick advises triathletes to conduct some of their training at a higher intensity level so that they can broaden their fitness and learn how to coordinate their movements at slower and faster paces. “Speedier muscles” will be necessary when you start and finish your race, as well as when you pass other swimmers. If you can develop them as much as possible while you train, you’ll be well prepared for race day. The motivation of swimming with a variety of swimmers in one lane—who are all trying to complete the same workout as you—is also significant. Not only will you meet new friends, but you’ll also be motivated to improve, especially when you compare your times with other swimmers, as some will be more experienced and faster than you. And you’ll be held accountable by your fellow peers to continue to improve. One of the largest benefits of seeking a Masters swimming program, and one that’s often unique to endurance athletes, is having a coach. As swimming is such a technical sport, the more trained eyes that observe your stroke, the better, as coaches will notice bad habits and offer insights on how you can improve your stroke and overall performance on a long-term basis. And as you search for a Masters Swimming program in your area, remember that each one is different; a program that’s ideal for your friend may not be the best fit for you.